Chennai, counted among the fastest growing metropolitians in the country, has the fourth highest population of slum dwellers among major cities in India, with about 820,000 people (18.6% of the city’s population) living in slums. The city came to a standstill with the incessant rains lashing for several days. There was a huge need of healthcare facilities after the destructive Chennai floods. People were suffering from water borne diseases and there was a major lack of awareness. 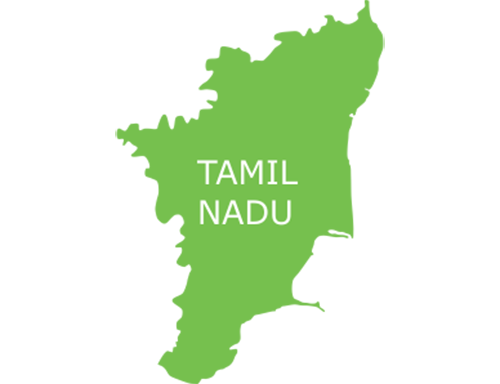 Chennai has world class medical facilities, including both government-run and private hospitals. The city in fact has been termed India’s health capital. But unfortunately these facilities and healthcare were less accessible during the time of the disaster for the people living in the slums, making health conditions worse. 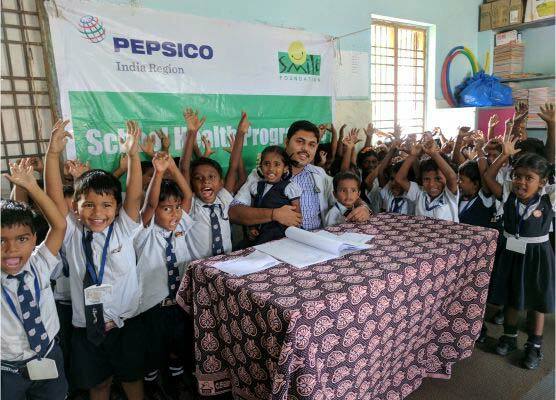 Smile Foundation launched Smile on Wheels in Chennai immediately with support from PEPSI Co. The project provided doorstep healthcare services to 12 villages of Kanchipuram District of Tamil Nadu like Mamandur, Mamandur Colony, Thabalmedu (Palamathur), Bukkathurai, Natarajapuram, Nelvoy, Salavakkam, Mangalam and Nallur. The camps provide basic health check-ups, medical diagnosis and pathological test facilities and free of cost medicines to the affected families. There was also a need to educate people on the after effects of such disasters and how to keep themselves safe if diseases due to the disaster followed in large numbers. In a situation as severe as the floods chronic ailments and infectious diseases were spreading more and had adverse effects on the overall health of the families, with women and children being more vulnerable. Hence, maternal and child healthcare are an important aspect of the project. The SoW project aims to cover 12 villages of Kanchipuram District of Tamil Nadu like Mamandur, Mamandur Colony, Thabalmedu (Palamathur), Bukkathurai, Natarajapuram, Nelvoy, Salavakkam, Mangalam and Nallur. Ante Natal / Post Natal Check-ups are conducted for mothers and would be mothers. Weight check, measuring blood pressure and hemoglobin level were also done for them. During their visit to SoW the women are also counseled for vaccination and institutional delivery. As part of the curative services pathological tests are also conducted to accurately diagnose the problem and provide the beneficiary with suitable treatment. Around 11% of total beneficiaries were provided with Pathological tests. Critical cases are referred to government hospitals from time to time in the departments of Gynecology, Radiology, ENT, Dermatology, Orthopedics etc for specialized treatments. School Health Programme is another aspect of the project for which first a need assessment was done in 12 villages before the programme started. 11 schools were identified in the Mamandur where regular health check-ups are conducted and the health status of every child is kept in check. This ensures that children are healthy and do not miss school due to health problems.